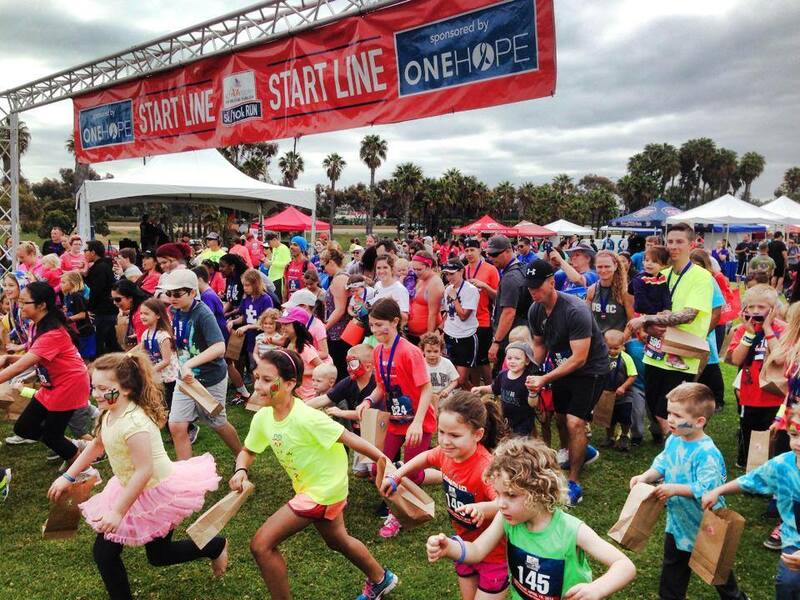 The 7th Annual ONEHOPE ACT Today! 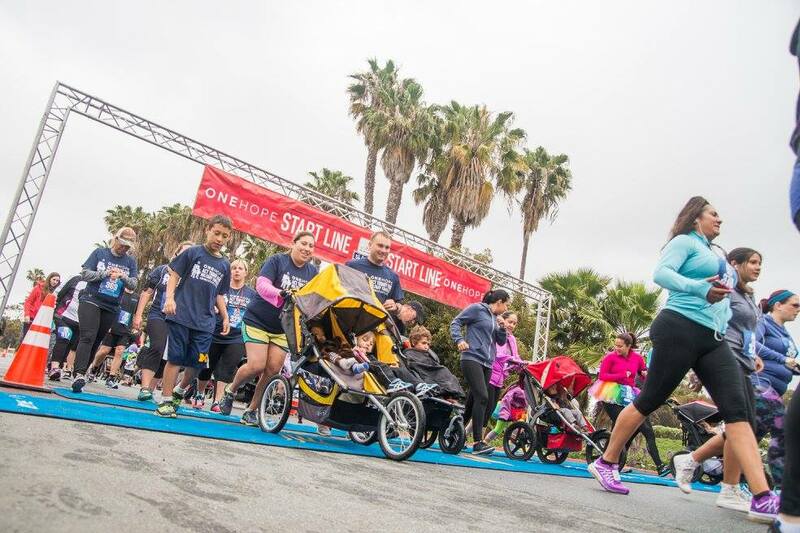 for Military Families 5k/10k Run/Walk & Family Festival expects to raise over $100,000 for military families with children with autism on Saturday, April 15, 2017, in San Diego. SAN DIEGO - Feb. 28, 2017 - PRLog -- ACT Today! (Autism Care & Treatment Today!) announces its 7th Annual ONEHOPE ACT Today! 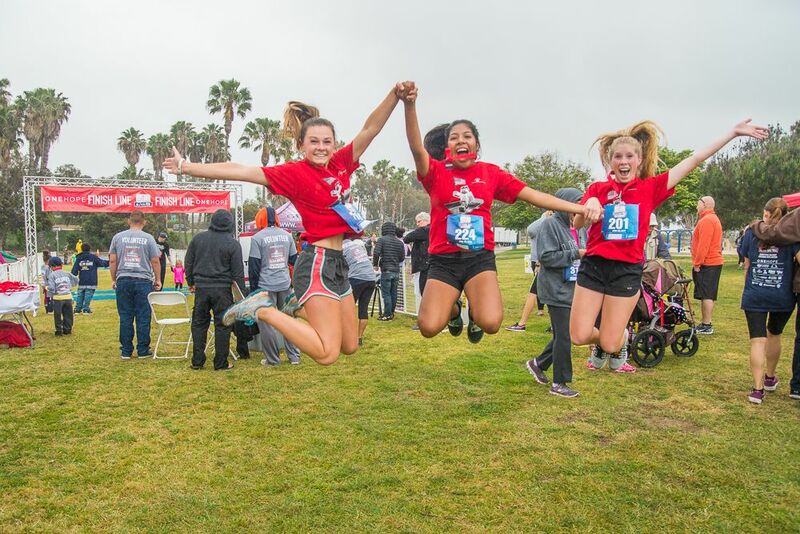 for Military Families 5k/10k Run/Walk & Family Festival will be held on Saturday, April 15, 2017 at Tecolote Shores Park in Mission Bay, San Diego. The charitable event is open to the community and will benefit military families with children with autism spectrum disorder (ASD). Since 2011, the event has raised over $600,000 in autism care and treatment for military children. The April event also celebrates Autism Awareness Month and the Month of the Military Child. ACT Today! is a national non-profit organization whose mission is to provide immediate and direct help to children with autism whose families cannot afford or access the necessary tools their children need to reach their highest potential. These tools include Applied Behavior Analysis (ABA) Therapy, medical care, social skills programs, assistive technology, safety equipment, assistance dogs, and many more. The ACT Today! for Military Families (ATMF) program was created in 2010 to extend support to military families with children with autism. The Centers for Disease Control and Prevention (CDC) estimates 1 in 68 children in America is diagnosed with autism, making it more prevalent than pediatric cancer, juvenile diabetes and childhood AIDS combined. "We're asking the greater San Diego community to join us on April 15th and help the families of those who serve and defend our freedoms," says Nancy Alspaugh-Jackson, ACT Today! executive director. "Military families are often relocated and those with children with special needs experience significant treatment gaps in care and support. Funds raised through this event will allow us to bridge that gap and help lighten the load military families carry." Participants of the 7th Annual ONEHOPE ACT Today! 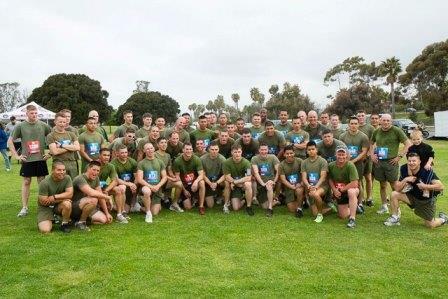 for Military Families 5k/10k Run/Walk & Family Festival will enjoy a scenic 5k, 10k (both chip-timed) or 1 mile fun run. 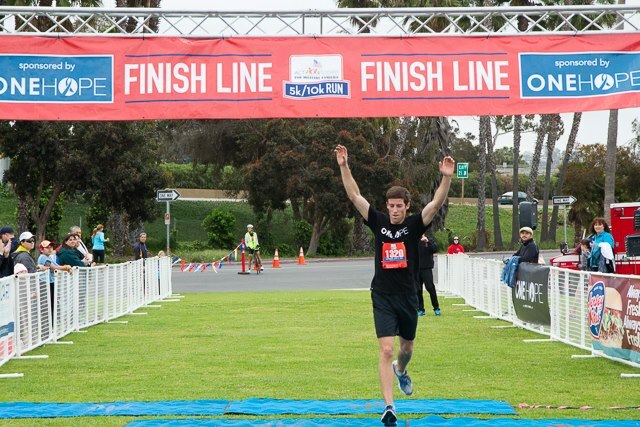 After crossing the finish line, they can celebrate at the family festival sponsored by the Center for Autism & Related Disorders, Inc. (CARD). The festival will include live music, wine provided by ONEHOPE Wine & beer provided by Stone Brewing Co. (for those 21+), vendor booths, kids' zone (egg hunt, bounce house, carnival games, face painting, arts & crafts), and a quiet zone staffed by ABA therapists. ONEHOPE president Tom Leahy said of his company's continuing support of the event, "The ONEHOPE ACT Today! for Military Families Run & Festival is a model of our philosophy of social enterprise that integrates causes into products and services to make a social impact. We are proud to support our military families who are challenged by autism, and honor them for their service." Along with ONEHOPE, corporate sponsors of this year's event include: Center for Autism & Related Disorders, Inc.; UnitedHeathcare Military & Veterans; Waddell & Reed Financial Advisors; Tolman & Wiker Insurance Services, LLC; Granite Investment Group; Tensor ID, Inc.; Woodstock's Pizza Pacific Beach; SeaWorld San Diego; Stone Brewing Co.; Starbucks; Suja Juice and Perfect Bar. Media sponsors include NBC 7 San Diego, ENERGY 103.7, and KyXy 96.5. For more information about the 7th Annual ONEHOPE ACT Today! for Military Families 5k/10k Run/Walk & Family Festival, visit: www.acttodayformilitaryfamilies.kintera.org. ACT Today! (Autism Care and Treatment Today!) is a 501(c)(3) non-profit organization dedicated to providing resources and funding to families of children with autism who cannot afford or access the necessary tools their children need to reach their full potential. For more information about ACT Today!, visit: www.act-today.org. ACT Today! for Military Families (ATMF) is a national program of ACT Today!. It was launched in July 2010. ATMF works to improve awareness and delivery of effective autism services, and provides financial assistance to military families to help defray out-of-pocket costs associated with autism treatments, services, and other quality-of-life programs. For more information about ACT Today! for Military Families, visit: www.acttodayformilitaryfamilies.org. ONEHOPE is a social enterprise that integrates causes into products and services to make a social impact. ONEHOPE has quickly become one of the most recognizable cause-centric brands due to the success of the cornerstone product, ONEHOPE Wine, of which half of the profits go to a different cause for each varietal of wine sold. Since launching into the wine industry in 2007, ONEHOPE has developed additional products, brands and experiences including - viaONEHOPE, ONEHOPE Weddings, ONEHOPE Foundation and ONEHOPE Coffee. ONEHOPE is headquartered in Southern California and has formed partnerships with notable nonprofits that support many distinct causes. Some of the causes and organizations include breast cancer treatment (Gateway for Cancer Research), Autism research and treatment (ACT Today! ), US forest preservation and protection (American Forests), pet adoption (ASPCA) and ending childhood hunger (World Food Program). ONEHOPE not only produces its own cause-centric products and services but is also the creator and leading provider of consulting services for companies small to large on Cause-Centric Commerce. For more information, please visit www.onehopewine.com or www.ONEHOPEFamily.com and follow us @ONEHOPEWine.